Popcorn has been a popular snack for years, and some of its appeal lies in the inexpensive price of unpopped kernels and the ease with which they can be stored. But when it comes to storage, there has been a debate: should you freeze the kernels to keep them fresh? Prevailing wisdom says no. Popcorn is believed to have originally come from the Americas. Archaeologists have found 4,000-year-old ears of corn kernels in New Mexico and 1,000-year-old kernels in Peru that were still able to be popped. According to the Popcorn Board, water is responsible for popcorn's pop. Kernels must contain 13.5 percent to 14 percent moisture to pop properly, which happens when heat causes the water inside the kernel to expand, turn to steam and inflate the starch inside the kernel, eventually bursting the hard shell. 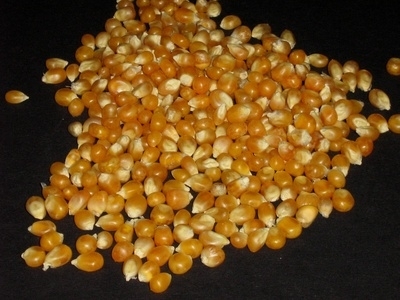 Popcorn will not pop properly if the kernels lose their moisture. Leaving kernels out unsealed for one hot day can reduce their water content by a percentage point, the Popcorn Board says. Popcorn kernels should be stored in an airtight container in a cool place, such as a cupboard. This will prevent a loss of moisture. While freezing is often a good way to preserve other foods, the all-important water content of popcorn kernels make it a poor candidate for storing in the freezer. The dry environment of a freezer is likely to dry out the kernels, making them less likely to pop. National Agriculture Library: "Popcorn: Ingrained in America's Agricultural History"